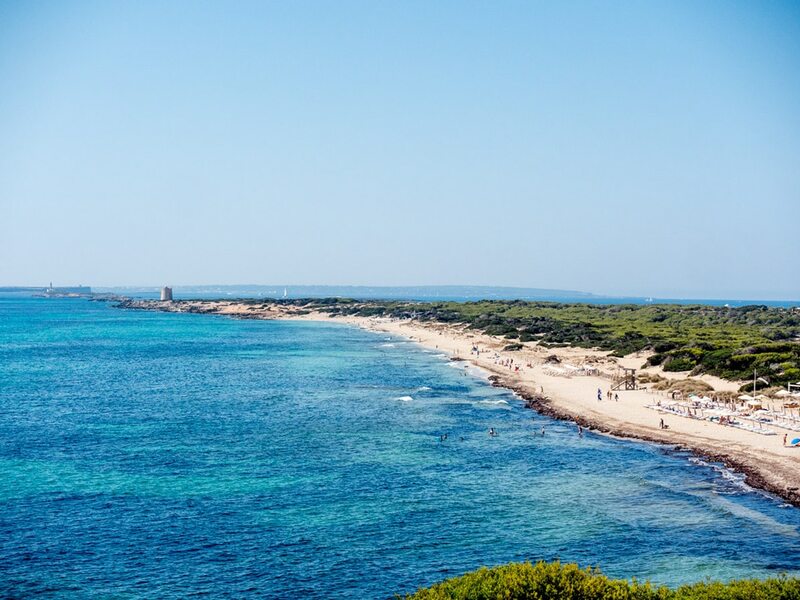 Backed by dunes—which are a part of the nature reserve of Ses Salines—Es Cavallet offers more than 1 km of soft, white sand and turquoise waters, fabulous beach clubs, and a relaxed and chic atmosphere. 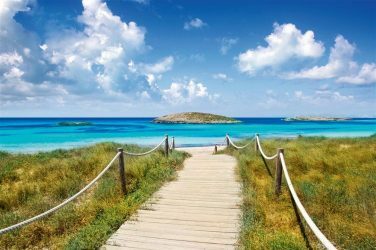 If the sky is clear (almost 300 days per year) you can enjoy the views of Formentera right in front of the beach. 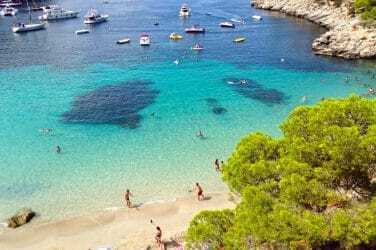 Located in one of the best areas of Ibiza, only 10’ drive from Playa D’en Bossa or the airport, and 15’ from the city centre, Es Cavallet is the answer to your prayers if you are looking for a chill beach in the south side of the island where—if you feel like—you can take your swimsuit off and enjoy the beach freely, as the hippies and residents usually do. 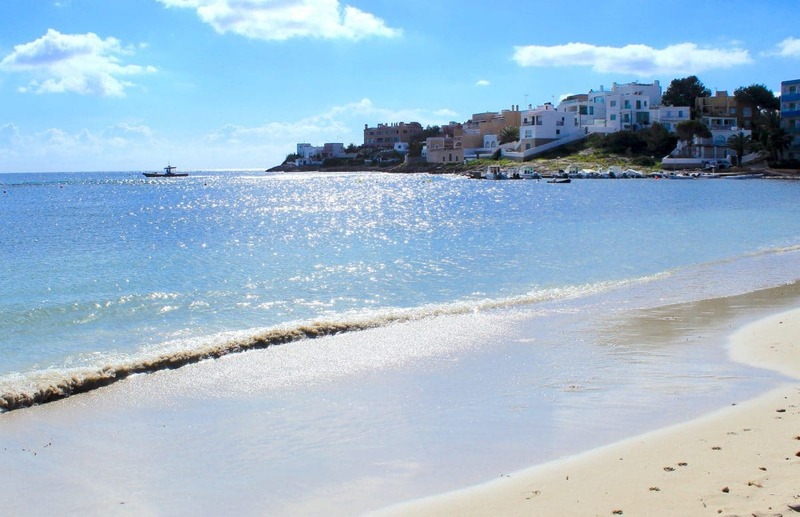 Not all the beach is strictly nudist, so if you want to go to the designated area, just walk a few minutes to the centre of the beach. Or, if you aren’t comfortable with it, just stay dressed, respect your beach neighbours (don’t take pictures or anything that would bother them), and everything will be just fine. 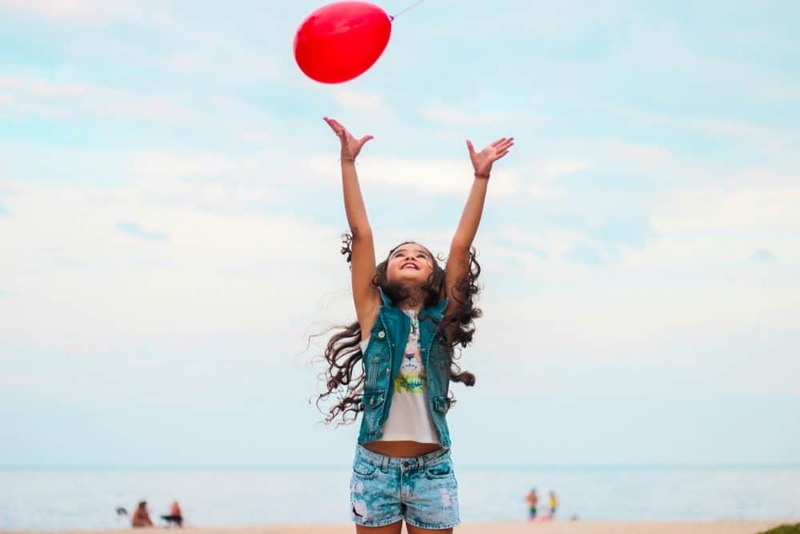 If there’s something that Ibiza stands for, is being free and happy as you are. 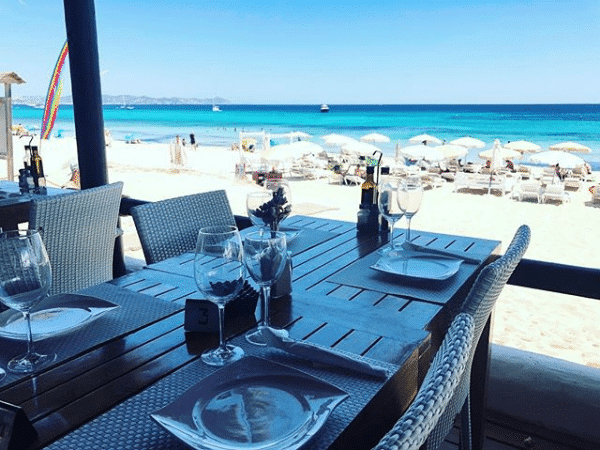 There are three fabulous beach restaurants where most of the celebrities go to spend a day when visiting Ibiza, specialised in seafood and meat dishes, but you can delight your palate with a complete range of food and cocktails on their menus: Chiringay, which is the perfect meeting point for the LGBTQ community; El Chiringuito, located on the other corner on the beach at the end of the road crossing the salt pools’ area, and La Escollera, right next to it. They all boast spectacular sea views, chill music, and a fancy ambiance. 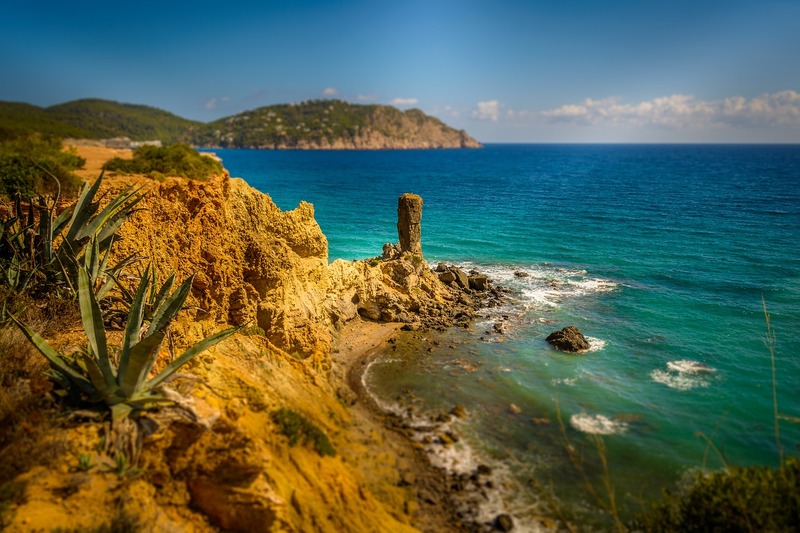 You can arrive by car, bicycle, or bus from Ibiza town or Playa d’en Bossa. Parking is always a bit complicated, as the space is very limited and it gets quite crowded during the season, but there’s always a plan B! 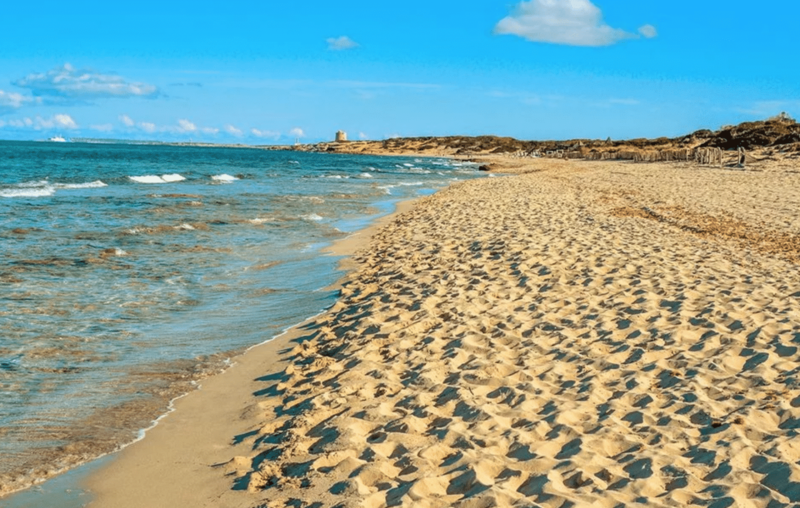 If Es Cavallet car park is full, you can come back to the route and park at Ses Salines beach, and then walk through shady pine woods for a few minutes until you find your perfect spot on the beach.